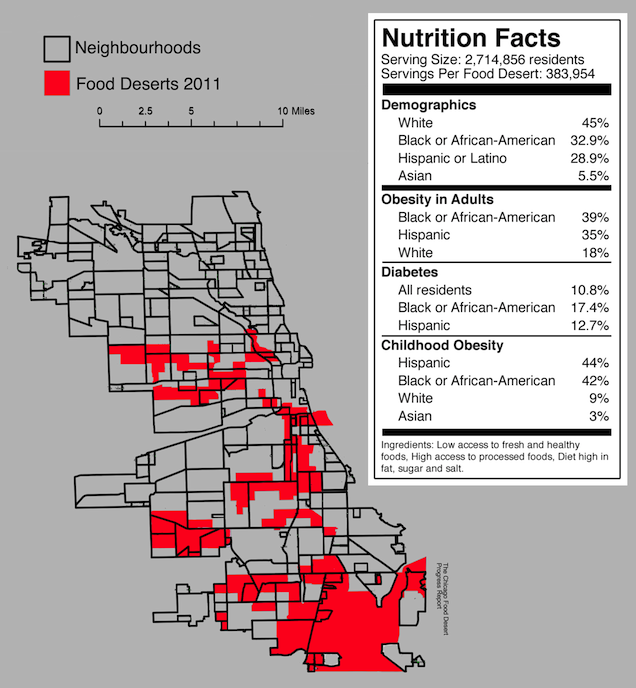 Americans living in an inner city food desert. 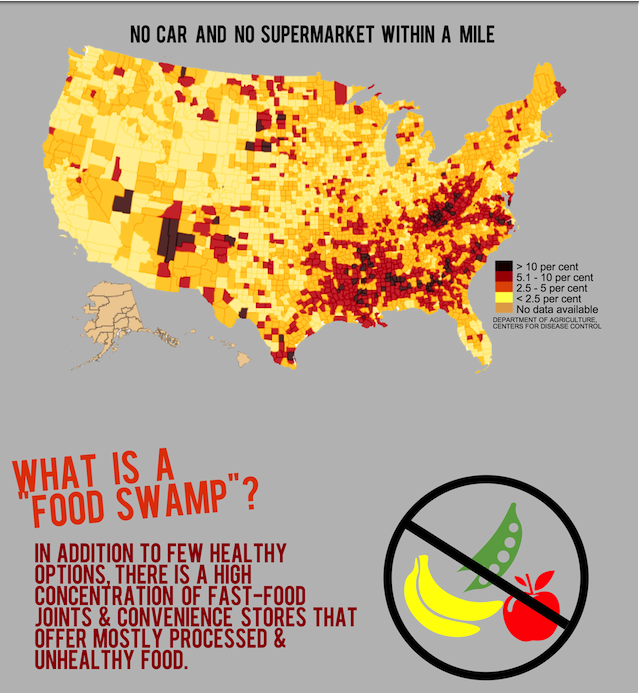 Many rural and urban areas in the United States are living in a "food desert", an area where there is low access to fresh foods and vegetables, yet an abundance of fast-food and convenience stores nearby. As people with higher incomes left the inner cities of the U.S. in the late 20th century, grocery stores followed the market and left low-income residents without access to stores selling healthy options. According to the U.S. Department of Agriculture and Economics, nearly 2.3 million Americans live more than 1 mile away from the nearest grocery store and do have access to a vehicle (USDA, 2009). 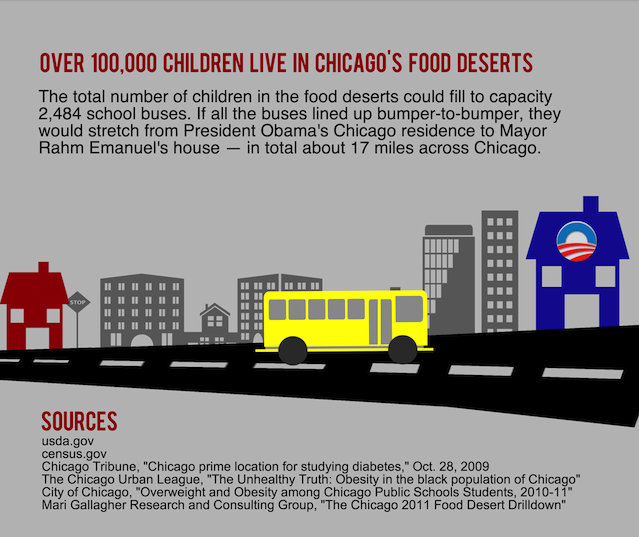 Here is an infographic I came across that outlined food desert problems specifically in the Chicago areas. 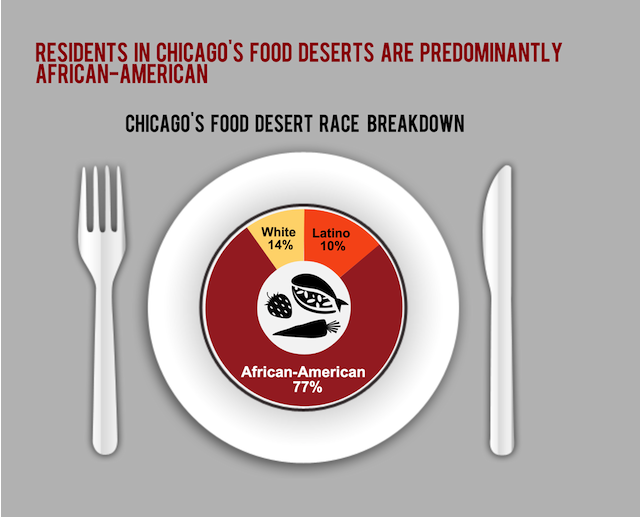 As you can see in the infographic ethnic minorities are more likely than whites to live in a food desert in Chicago. This trend, however, is not exclusive to Chicago. In fact, according to Lisa Bower, assistant Nursing professor at John Hopkin's University, black and Hispanic neighborhoods are less likely to have large supermarkets and instead have small grocery stores- often selling processed foods instead of fresh, healthy options. Additionally, she found that the areas deemed "food deserts" were considered unsafe neighborhoods, with no access to gyms, parks, and a heavy reliance on public transportation. Unfortunately, this has had a damaging impact the health of these low-income minority populations. According to the Chicago-based infographic above, nearly 44% of Hispanic children and 42% of black children are obese, while only 9% of white children and 3% of Asian children experience obesity. The presence of high calorie, low-nutrient food, coupled with the lack of safe exercise options have placed ethnic neighborhoods on the path toward experiencing major health problems. According to the Centers for Disease Control and Prevention, obesity increases the risk for developing serious, even fatal health conditions like heart disease (the #1 cause of death in the U.S.) and diabetes (#7 cause of death). 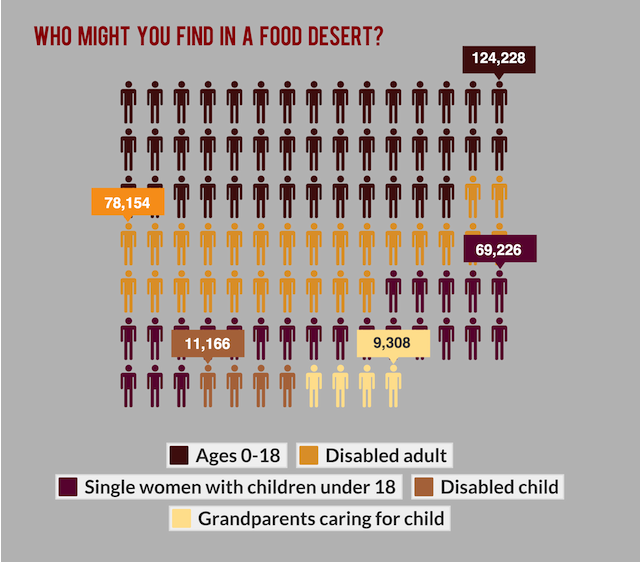 These dismal statistics point to the need for a solution to food deserts, yet without expendable income in these neighborhoods, large grocery stores are unlikely to relocate. "Mobile Market." . Truman Medical Centers, 2012. Web. 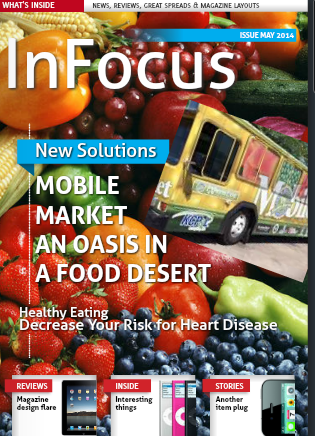 21 May 2014. http://www.trumed.org/truweb/corporate/community_engagement/healthy_harvest_mobile_market.aspx. 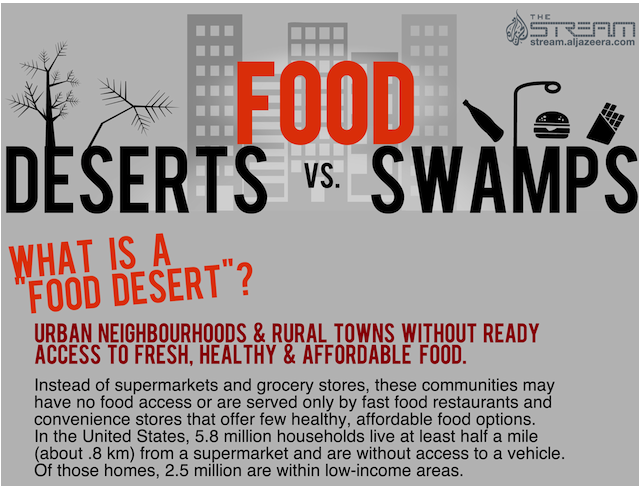 "Food Deserts." . Food Empowerment Project, 2014. Web. 21 May 2014. http://www.foodispower.org/food-deserts/. Teaches the SMARTEST kids in the building.